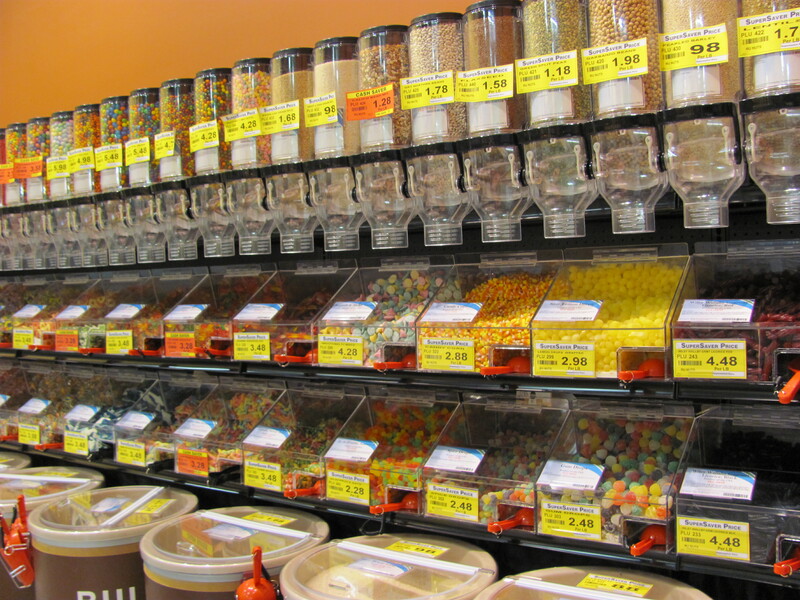 At some supermarkets / stores, there is a "bulk fruit" section. I'm not talking about selecting fresh fruit off of the shelf or "fruit island" as is seen in some stores, like where they keep the apples etc.. SO it's pretty reasonable to assume that the same containers which now have kosher fruit in them at one time contained dairy-coated snacks or or non-kosher items. So is the fruit taken from there still kosher, since it's safe to assume they reasonably cleaned the containers, or no? The real kashrut issue is insect infestation- non kashrut-certified dried fruit should conform to FDA standards at least, but these are significantly more lenient than kashrut as pertains to bugs and bug parts. You should ask a rabbi what dried fruits are considered problematic in your area and those need to be checked prior to eating. Interestingly, a Hidabroot article on Tu B'ishvat I am unable to link to states that "Kashrut of oil spread on fruit: dried fruit often has oil spread on it and you should make sure those oils are kosher". I have personally never heard of anything like that at all but it may be worth speaking to a Rav about. Not the answer you're looking for? Browse other questions tagged kashrut-kosher fruits superstition . Is it permitted to return non-kosher food to a grocery store for a store credit?